Since I haven’t done one of these posts in awhile with April’s series, this week I’ll just be discussing some of the books that came in since this feature has been on hiatus. I’m going to cover the books that look most intriguing and next week I’ll resume as usual. 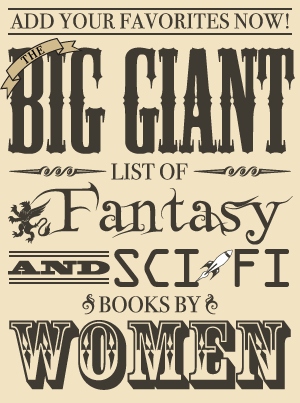 There’s also a lot of catching up to do on reviews, and some of the books I still need to review are ones I thought were very good indeed (Shattered Pillars by Elizabeth Bear, Sister Mine by Nalo Hopkinson, and River of Stars by Guy Gavriel Kay, to name a few). Onward to some books I’m quite looking forward to reading! 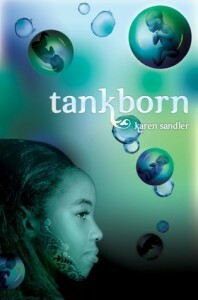 These books are in a young adult science fiction trilogy by Karen Sandler, who also writes romance and mystery books. 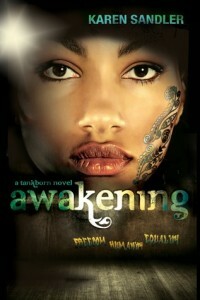 Awakening, the second book in the Tankborn trilogy, was just released in April. The final book in the trilogy, Rebellion, will be released next spring. Both Tankborn and Awakening are available in hardcover, and Tankborn appears to also be available as an ebook. I’m intrigued by the premise of this series, plus I saw some of my Goodreads friends seemed to really like these books, so I’m excited to read them. When Kayla is Assigned to care for Zul Manel, the patriarch of a trueborn family, she finds secrets and surprises; not least of which is her unexpected friendship with Zul’s great-grandson. Meanwhile, the children that Mishalla is Assigned to care for are being stolen in the middle of the night. I was basically sold on reading this book the moment I saw it was a novel about the niece of Sherlock Holmes. The cover quote by Jacqueline Carey didn’t hurt, either! A Study in Silks will be released in mass market paperback and ebook in September. The next two books in the series will be following it closely with A Study in Darkness in October and A Study in Ashes in November. A two paragraph long excerpt from A Study in Silks is on the author’s website, but it will be replaced with a longer excerpt once the book has been copyedited. The first solo novel by Stella Gemmell (David Gemmell’s wife) will be released in hardcover and ebook on June 4. Dark epic fantasy featuring an immortal evil emperor—I’m definitely interested! 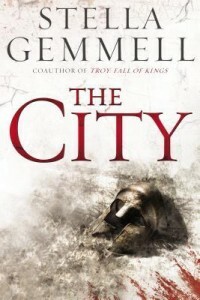 In her debut solo novel, Stella Gemmell, coauthor of the “powerful” (Booklist) conclusion to David Gemmell’s Troy series, weaves a dark epic fantasy about a war-torn civilization and the immortal emperor who has it clutched in his evil grasp. 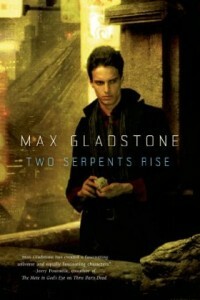 Two Serpents Rise is set in the same world as Max Gladstone’s debut, Three Parts Dead. While I wasn’t madly taken with it, I did think Three Parts Dead was a very good debut so I’m curious about the author’s second book. Two Serpents Rise will be released in hardcover and ebook in October. I love Freda Warrington’s Aetherial Tales so I’m thrilled about the re-release of her vampire series starting with A Taste of Blood Wine! It became available again in the UK earlier this month, and the other two books plus a brand new book in the series will follow. I have been particularly curious about this book since seeing it reviewed on my local library’s blog. 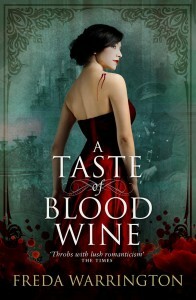 Currently, I am running a giveaway for a signed copy of A Taste of Blood Wine and there is an extract from a related short story by Freda Warrington with the giveaway post. Karl von Wultendorf, though a vampire himself, is completely under the power of his maker, Kristian, who demands total servitude. Charlotte Neville is the daughter of a Cambridge professor. She has grown up questioning all that she sees. Because of this, she is seen as a wallflower by British society. She lives with her father and assists him with his experiments at their home. When Karl meets, and falls in love with, Charlotte, he realizes that he must find a way to kill Kristian, for Kristian has decided to teach Karl a lesson in power, by devouring Charlotte.